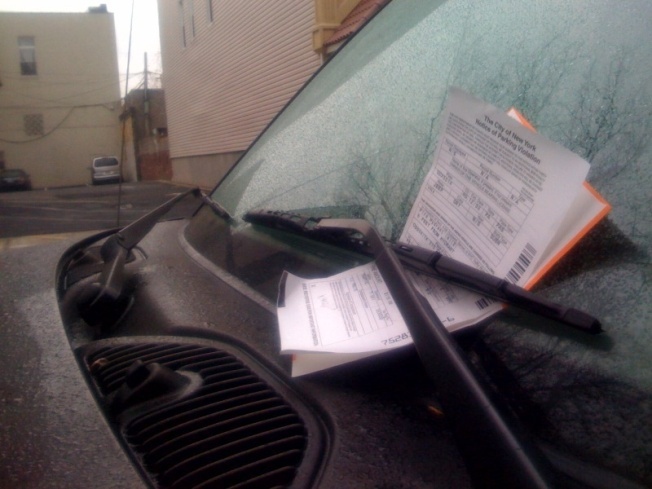 A parking ticket on a Jeep in Brooklyn, taken earlier today. The inescapable cycle of doom that city drivers are all too familiar with - park car, get parking ticket, pay fine, repeat - has a rarely recognized extra step that automatically reduces the fine by $20 - $25, nearly every time. According to the New York Times, which explores the settlement program, "Any driver who challenges a parking ticket — in person, in writing or online — is offered a substantial, guaranteed reduction for most fines, under a program the city quietly introduced in 2005." As a city driver myself, this means I could have saved nearly $200 over the past year and a half of illegally parking around this dear city, just by raising a stink! A New York Times graphic exploring parking penalty reductions on tickets received at 96th Street in Manhattan shows that in all instances, except for parking within 6 15 feet of a fire hydrant, $115 tickets were reduced to $90 and $65 tickets to $43. If you had no idea such a break existed, you're not alone, as the Times notes "most people who get tickets, about 80 percent by city estimates, do not challenge them and still simply pay the full fine." The best way to use the settlement program is to show up in person and mention it to the court clerk. Parking offenders can also challenge the ticket both online and by mail, and will be given the settlement option after requesting a hearing. In a faltering economy where bargain shopping is all the rage, its relieving to know the city has a discount bin of its own.